Josh Groban has added 2016 North American tour dates in support of his 2015 album, Stages. The new dates are set from mid-July to late August. Sarah McLachlan will open on select dates. These just announced concerts will follow Josh's visit in South Africa and Australia in April, 2016 and European and United Kingdom dates in May. When do Josh Groban 2016 Stages Tour tickets go on sale and what is the presale code? Many concerts are already on sale and each show can be different, so check the links above for the show you're interested in. For these newly announced tour dates, ticket presales start on December 7 for Josh Groban's Fan Club and Citi cardmembers. Live Nation and LN Mobile App presales begin as early as December 9. Facebook and local radio / venue presales begin as early as December 10. The general public on-sale begins as early as December 11, 2015. The Live Nation presale offer code is TRACKS and the LN Mobile password is COVERT. The Facebook presale code for 2015 dates was STAGES. 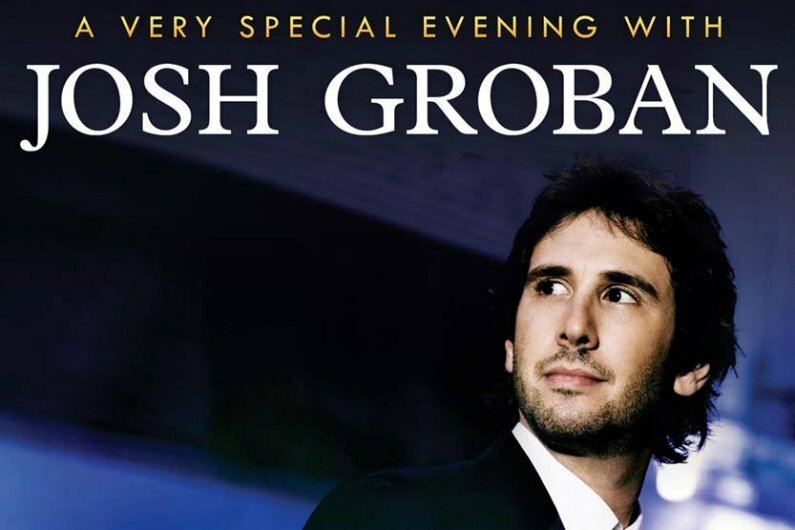 We recommend signing up for Josh Groban's free email newsletter and your local venue email newsletter, as well as following them on social media to get the most up-to-date information about additional offers and passwords. Pick up Stages on Amazon (Vinyl, CD, MP3). For the latest music, news, and tour dates from Josh Groban, check out his Zumic artist page. Tickets Broadway & Musicals Pop Pop Rock Josh Groban Albany, NY Atlanta, GA Austin, TX Boston, MA Buffalo, NY Chicago, IL Cleveland, OH Dallas, TX Detroit, MI Houston, TX Indianapolis, IN Los Angeles, CA Louisville, KY New Orleans, LA New York, NY Philadelphia, PA Pittsburgh, PA Providence, RI San Francisco, CA St. Louis, MO Syracuse, NY Toronto, ON Wallingford, CT Washington D.C.